The annual Columbus Oktoberfest will be held September 7-9, 2018 for 3 days of German fun! Try some delicious German food and beer at the Ohio Expo Center while listening to the musical performances on several stages and tons of events. Columbus Oktoberfest and Dispatch Fall Home and Garden Show take over the Ohio Expo Center the same weekend so you can enjoy both! Shuttle buses will be available to transport people from one event to the other, and if you present your Oktoberfest program, you’ll get into the Home & Garden Show for free! But before the weekend starts, don’t miss the first Annual Kick-Off Party on Thursday, Sept. 6 at Hofbrauhaus located in the Grandview Yard. The party will feature keg tappings, great food and live entertainment from 6:00-10:00 pm. This year’s Oktoberfest will feature three stages of German music, polka dancing, and contemporary bands, and a “marktplatz” with more than 100 arts, crafts and commercial vendors with local and international products. Don’t forget about the amazing food and beer options! Schmidt’s Restaurant and Sausage Haus will be serving up its famous Bratwursts, Bahama Mamas, Frankfurters, Fried Bologna, German Potato Salad, Sauerkraut and the fan-favorite Jumbo Cream Puffs. Bring the family! 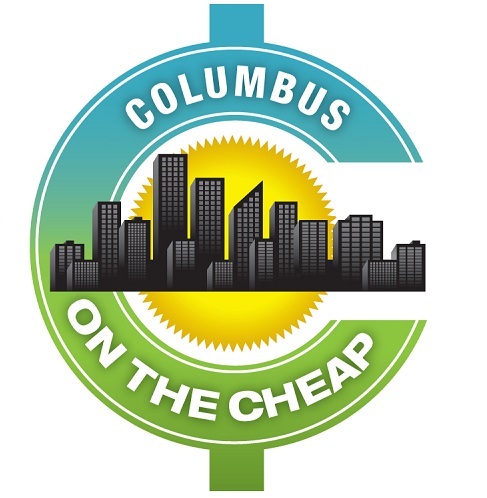 Kids will enjoy The Kinderplatz, a children’s area with bounce rides, crafts, face-painting, and representatives from the Ohio Department of Natural Resources. Other fun events include the Silent Disco, Annual Meiler Vier Meiler Run/Walk on Friday evening, German Games including Cream Puff Eating contest, Mass Kruegstemmen (beer stein holding), and German Stone Toss. Admission is FREE, but parking is $10/vehicle. All food and beverage will be sold by tickets only, with several ticket locations throughout the grounds. A portion of the proceeds from this year’s Oktoberfest celebration will be directed to the Mid Ohio Food Bank. Don’t miss the Kidslinked Sunday Family Funday @ Oktoberfest on September 9 from noon – 5 p.m. in the Kinderplatz Area Natural Resources Park at the Expo Center. The funday will feature a Princesses and Super Hero Breakfast ($7-$8), Kinderplatz King and Queen for the Day, 1/4, 1/2, and 1 mile family fun foam runs ($12, or 2/$20 and includes the breakfast), Royal Princess and Superhero Parade, Bring the Farm to you petting zoo, puppet show, bounce house and entertainment, and more. Click here for details and registration.